Expert testimony is frequently needed in international family law cases. 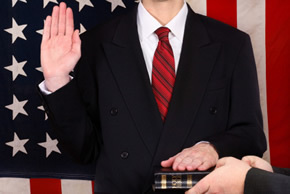 International family lawyers are frequently called upon to act as expert witnesses. Such testimony is often secured in cases concerning international child abduction, particularly in cases in which one parent is seeking to prevent the other parent from having overseas visitation with the child or relocating with the child to another country. However it is also useful in a myriad of other cases. -The enforcement of foreign divorce and custody judgments. Jeremy D. Morley has frequently appeared as an expert witness on international child abduction prevention, international child abduction recovery, international divorce jurisdiction and international family law. -Whether a parent had "rights of custody" within the meaning of the Hague Convention under the laws of a U.S. state.